As time is changing technology is revolving and new devices are coming into the market which is making life easier for everyone. With an increase in devices a large number of online shopping websites are selling electronic devices and their sales are huge especially on Black Friday sales. There are many companies like Apple, Samsung and many others which are into wearable devices, these wearable devices helps in tracking body motion and heartbeat which is used for monitoring body changes and ultimately can help in maintaining a healthier lifestyle. These wearable devices are not fully accepted by consumers when it comes to medical point of view but one these devices might save our lives. The fancy smartwatches are quite helpful and trending nowadays but it also tracks heartbeat with accuracy upto 90 percent. This is not your ordinary shoes, this does tracks your steps while running or walking. The beauty of this shoes is; you don’t need an expensive smartwatch to integrate with it. If you are not a watch person or smartwatches are too expensive for you, you can easily go for these shoes and buy them from Under Armour. These shoes does not require any extra gadget for functionality, the shoes connects to your smartphone via Bluetooth and tracks your steps, you will need an application and Bluetooth connectivity and you are good to go. The fitness tracker is fitted in the sole so it’s tracking is quite accurate. The Signatur Steel-Mesh is a hybrid wearable which is perfect for those who don’t want their watches to look like G-shock kids watch. This watch is classy looking and smartwatch both at the same time. This elegant watch tracks your activities and is integrated with your smartphone, the beauty of this watch is; it doesn’t look like a typical smart watch. The watch can be connect to iOS and Android. It has coin cell battery and 20mm strap which are replaceable. This wrist wear measures your sleep and lets you know what is needed to do in order to improve it. It also measures your daily activities like daily exercise and heart rate. 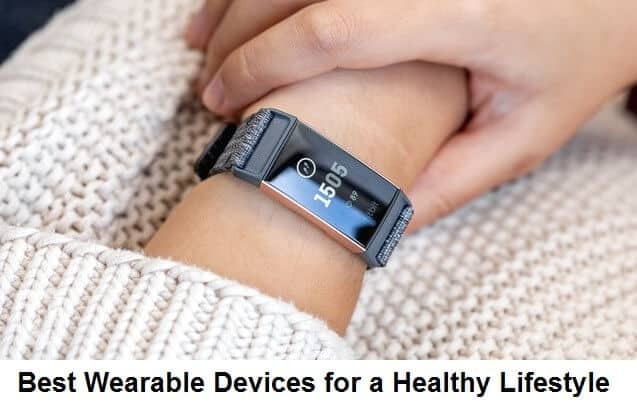 This wearable is best for monitoring your sleep, you can improve your sleep by analyzing the data collected by Alta HR because it tracks the time you sleep and how many time you wake up during your sleep, it also tracks your heart rate during sleep. This is an amazing wearable to improve your sleep and overall lifestyle. This is my personal favorite when it comes to wearables. The Gear Fit 2 Pro is amazing at tracking activities and it’s water resistant. It wrist wearable doesn’t try to be a smartwatch, it’s simply an exercise and heart rate tracker.